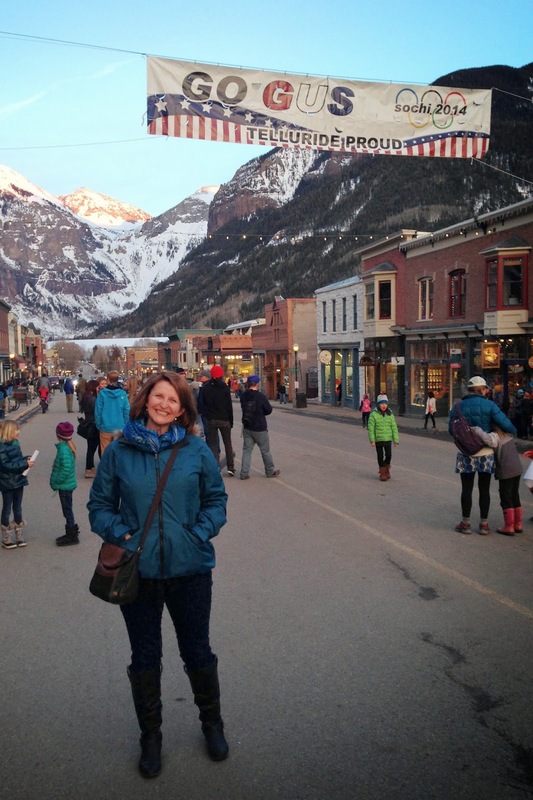 After dropping Claire off at the airport for her flight back to Chicago, Dave and I returned to Telluride for one more night before resuming our travels. The last glow of sunlight was going down on the surrounding mountains as we drove into town, but that certainly wasn't the biggest event of the evening! 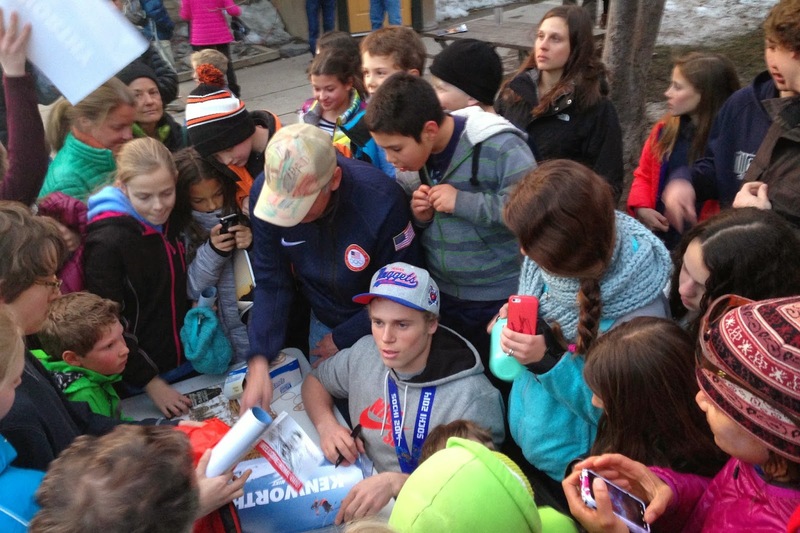 "Gus" is Gus Kenworthy, local Telluride boy and Olympic silver medal winner in Sochi! 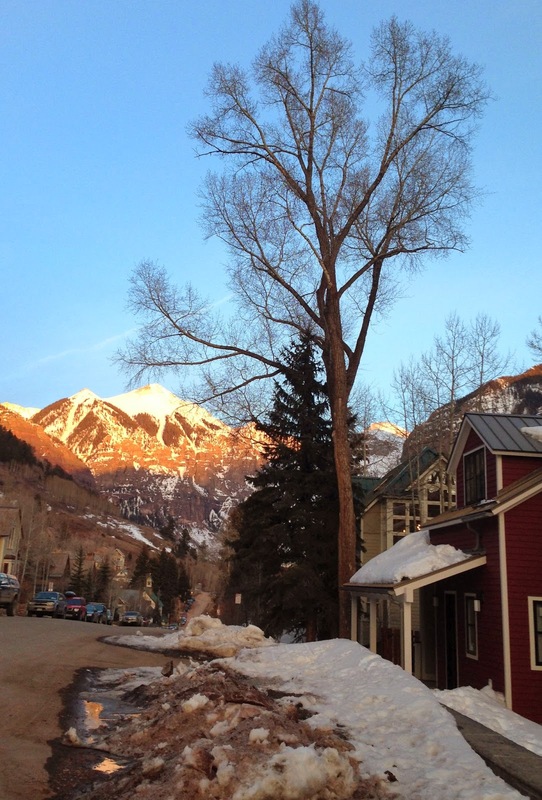 Raised here, he's been on the Telluride slopes since he was three years old. Now 22, he returned to a parade and special evening event last night...and we got to see him! The excitement in the mostly local crowd was so delightful to be a part of. They are really proud of their Gus, and greeted him warmly as they patiently stood in line while he signed posters, helmets, arms and more for several hours. After watching them for a bit I decided to join in the fun and wait my turn in line too. 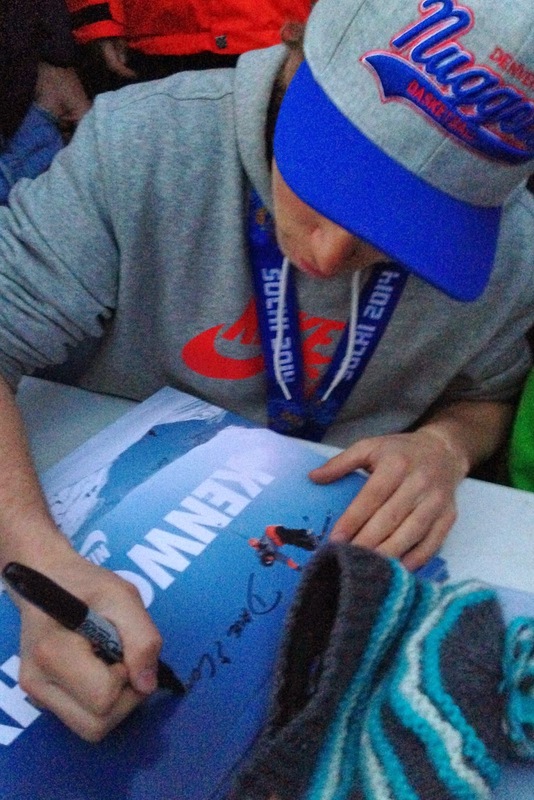 He was a sweetheart, really giving of himself as he signed poster after poster, and interacted with the crowd around him. It was a joy to look him in the eye when I made it to the front of the line and tell him "Good job" and "We're all proud of you"...and be rewarded with a warm smile from him, and a "Thank you so much". 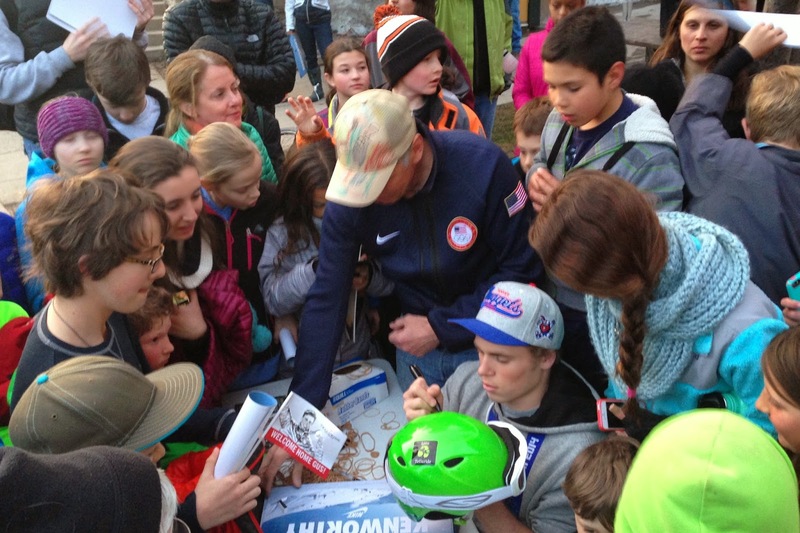 His parents, who live here in Telluride, must be so proud of their son, not only for his accomplishments, but for what a kind young man he is. 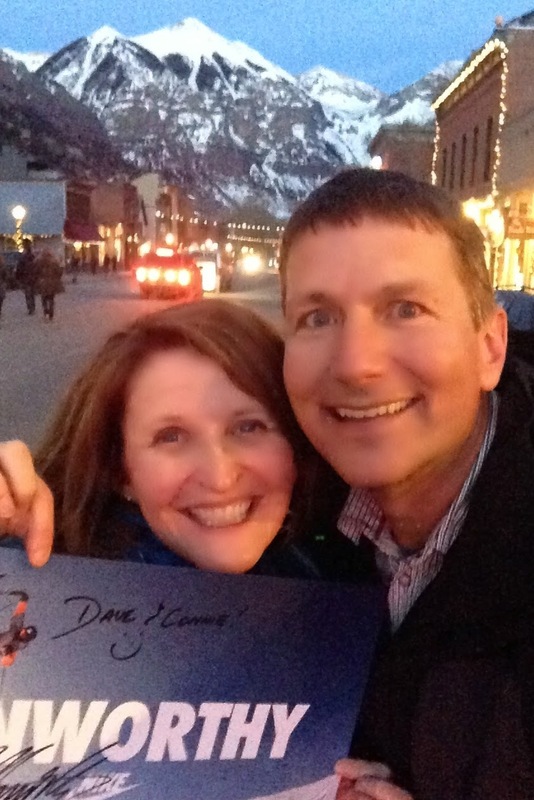 You can't see the whole poster, but that's our fun souvenir from Gus the Olympian who lives in Telluride! Fun thing to be a part of. 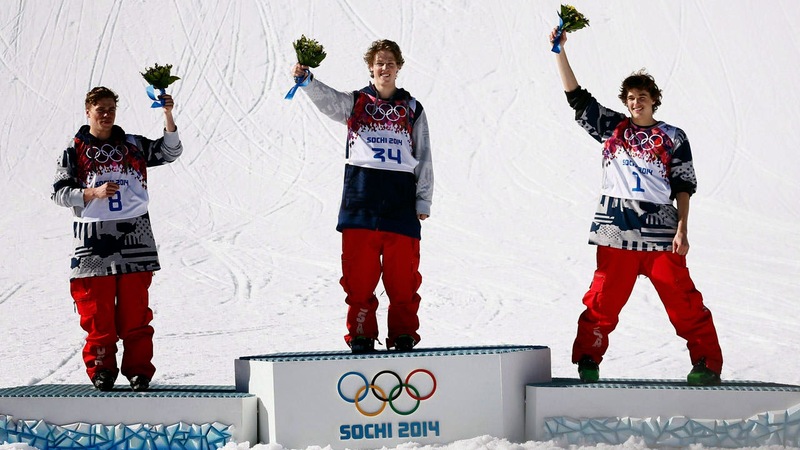 I was amazed at the slopestyle events - both snowboarding & skiing. So many athletes were injured on it due to the speed, ice & height in the jumps. He is a brave and talented young man. So glad to hear he's nice & keeping his roots in his hometown. Ah! So cool!!! I CAN'T BELIEVE I MISSED THIS!!! !